Throughout 2019, United Midcoast Charities will offer free educational opportunities on topics essential to nonprofit sustainability and impact. Our inaugural event will focus on policies that lay a strong foundation for financial stability. This series was developed in response to needs expressed by our 2018 grantees, and our goal is that attending nonprofits will emerge equipped to make a stronger impact than ever! Thursday, Feb. 7, 9-10:30 a.m. Please join us for a workshop on the hows and whys of developing your gift acceptance and investment policies with experienced gift planners Abe Dugal and Sarah Ruef-Lindquist. We are delighted to offer this opportunity to board members and executives who have a hand in developing organizational polices. Please use this link to register, or call UMC at 236-2299 with any further questions. Sarah believes sound, thoughtful planning is a gift we give ourselves, our families and our community.She is a lawyer and seasoned non-profit executive who has worked with dozens of organizations to build fiscal efficiency, planned giving programs and endowments. Sarah has also worked with individuals and families as a philanthropic advisor and senior trust officer. She holds the Certified Trust and Financial Advisor certification and FINRA Series 7 and 66 registrations through Commonwealth Financial Network.Sarah joined Allen Insurance and Financial in Camden in 2016 and focuses on endowment building through planned giving, wealth management and estate planning with special attention to women’s planning needs. 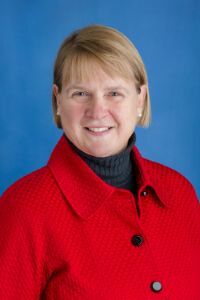 Sarah serves on the board of Rockland Savings Bank, Unity College and the Maine Planned Giving Council. She and her husband live in Camden. A native of Lincolnvile, Abe is a graduate of Camden Hills Regional High School and Babson College in Wellesley, Mass, where he majored in business management with a concentration in finance.Abe worked in the financial services industry in the Boston area for almost 10 years before returning to Midcoast Maine. Prior to joining Allen Insurance and Financial, he worked for nearly seven years at Cambridge Associates (C|A), a global investment management firm holding positions focused in custom client portfolio analysis and operations and portfolio risk monitoring.Most recently, he was Director of U.S. Investment Operations for C|A overseeing a department of 45 staff in four offices for more than 300 foundation, endowment, pension and private wealth clients. Outside of work, Abe enjoys all the Midcoast has to offer with his family, from the ocean and hiking to the museums and restaurants. 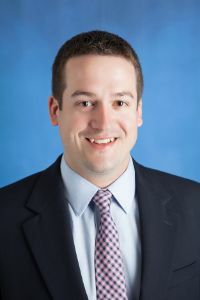 He currently serves on the Board of Directors for the Penobscot Bay Chamber of Commerce and on the Finance Committee for Midcoast Habitat for Humanity. Abe, his wife Anna, and their young son live in Camden. thanks to the generosity of our donors and sponsors.